the V801SH will ONLY take USIM card that of Japan Vodafone, so at this time there is no way to use any other SIM card for the V801SH. 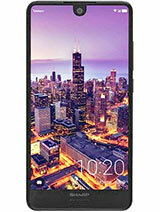 There is a unlocked version of the V801SA (Sanyo) in China that you can buy now, but not the V801SH. hey....i have a v801sh in brazil....i can use the USIM card of others operators???? Can i use this phone in Hong Kong ? To rinkurinku : Couid I know where are you from? I have heard of that someone in Taiwan had also unlock V801sa version.I really want to know wheather the locking software is the same as in V801sh and what do you mean " It is possible to unlock it "? Is there a software help you to unlock the phone or the other way? Cause I really interested in V801sh and really want it be unlocked, I am in Shanghai,China. I have unlocked SA version first and now am working on SH. It is possible to unlock it and use worldwide. Does somebody know how to unlock V801SH. I want to use it in Ukraine. 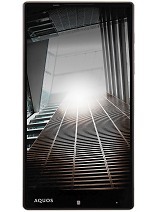 Absolute beautiful phone perfect for roaming and loads of extras. However when I am in Ireland I need to use another sim card,ie, Vodaphone,Ireland network one, as it is to costly to use the Vodaphone japan one. I need it unlocked for this to happen but unfortunally Vodaphone will not let me unlock it, any suggestions. is this phone out in england yet?? .. becaus ei wanna buy 1 as they look really good! hey people! i do have the same problem as yours!! im in the philippines but i cant used my fone here! 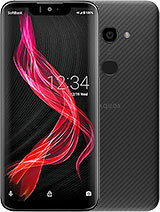 hope that sharp will make a software that will unlock V801Sh coz if they dont they will regret it for the rest of their life since their fone is way behind other fones here in the philippines! when i can buy in hong kong?? I have a v801sh and cannot use it in the US. Would like to use the sim card from my other carrier and make use of a great phone with an excellent camera (as phonecams go). unfortunately the Sharp V801SH (by Sharp) has never been unlocked yet. Only time will tell since the Sharp V801SA (by Sanyo) seems to have been unlocked in asian countries. Still the V801SA is only 0.3MP camera resolution and very short, 30 second video recording compared to the V801SH which is 1MP camera and up to 30 minute video recording segment and more. I hope someone will come out with a software to unlock the Sharp V801SH soon!!! 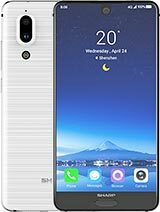 I guess if all us send our comments to Sharp,hope they would consider market their great phone worldwide,not only to JAPAN!! 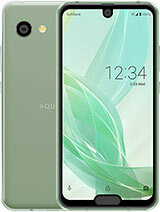 I want to buy a cell phone in Japan! I'm from Europe. How do u think- are there any cell phones in Japan, which would be able to work here?! Which one would you suggest to buy? Is buying Prepaid phone a good idea? Please, HELP!